The ketogenic diet has been around for a LONG time. It’s popular. It’s controversial. Some love it. Some hate it. Some even say it can help your blood sugars stay in better control. After thoroughly reviewing the scientific literature and trying the ketogenic diet myself for over 6 months, I am ready to unfold everything you’ve been hearing and let you decide for yourself what you think about the diet that has taken the world and diabetes community by storm. How does a keto diet affect blood sugar? Is a keto diet effective for weight loss? How difficult is a keto diet to follow? Is a keto diet safe for people with diabetes? Conclusion: Is a keto diet good for people with diabetes? This guide is relevant for people with any type of diabetes. I will mainly talk about insulin when I discuss how a keto diet affects blood sugar, but some studies also show a possible reduction in certain type 2 medications. Disclaimer: Please always consult with your medical team before you start a new diet, adjust your medication or change your diabetes management routine. Once upon a time, keto was the original “diabetes diet” prescribed to type 1 diabetes patients before the advent of insulin, as this would prolong their lives as it has less of an impact on blood sugar levels. The ketogenic diet is a low-carb diet where you get only ~5% of your daily caloric intake from carbohydrates. By restricting your carbohydrate intake so severely, you force your body to get most of its energy from fat. A byproduct of this fat burning is the production of natural ketones in the body, hence the name of the diet. Burning ketones supplies the body with an alternative form of energy rather than quickly accessible energy from carbs (glucose) and is what makes the ketogenic diet work. (IMPORTANT: natural ketones are different from the “bad” ketones that can lead to diabetic ketoacidosis (DKA). More about that later in this guide). NOTE: I am NOT saying that you should eat a 2,000-calorie diet. This is just an example! Please read this post to learn how to calculate your daily calorie need. Protein is key here, because in the absence of carbohydrates, protein can be converted into glucose via gluconeogenesis. Since it is glucose, it can kick you OUT of ketosis. Thus, don’t overdo your protein if you want true ketosis. I will be spending the rest of the article talking from the 20-50g of carbs and moderate protein (~20%) perspective. When I tried the keto diet, I was able to eat that quantity of carbohydrates and up to 150-160g of protein per day and remain in ketosis. Results may vary. The premise of the ketogenic diet and diabetes is easy; fewer carbs require less insulin and should result in fewer blood sugar spikes. Fewer blood sugar spikes should lead to improved time in range and better A1c values. In addition, several studies have shown that the keto diet can improve insulin sensitivity (1), further reducing the need for insulin and making blood sugar control easier. IF (and that is a big if) you can adhere to it, keto can be a very effective way to manage your blood sugars. The swings will truly start to dissipate, trendlines on CGMs will flatten, and your A1c will quite possibly drop. I had the best A1c of my LIFE while doing keto. When I would overtreat a low, I would sometimes push my carbohydrate amount over the keto threshold and end up OUT of ketosis…not that it is the worst thing in the world, but the goal is to remain in ketosis as much as possible. That keto diets work in real life is exemplified by the fact that the keto diet is perhaps the most popular low-carb diet for people with diabetes and that thousands (if not hundreds of thousands) of people swear by the keto diet for good blood sugar management. There is also a significant number of people (including Christel Oerum, the owner of Diabetes Strong) who experience the opposite reaction to the keto diet. Instead of increased insulin sensitivity, they experience a drastic increase in their insulin resistance, meaning that they need large amounts of insulin even for a very small amount of carbs. This phenomenon has not been studied scientifically, but there is enough anecdotal evidence to suggest that not everyone reacts the same to a keto diet, and it may be unsuitable for some people. Verdict: The keto diet can be very effective for blood sugar management, but there is significant variation between individuals: it does not work for everyone, but is worth a shot! Calories in (eating) < Calories out (burning) = weight loss. If you eat more calories than you burn, you will gain weight – no matter what type of diet you follow. To learn more about how many calories to eat, please see my post “How to Lose Weight with Diabetes” and follow the steps in the post “How to Find Your Daily Calorie Need” to calculate your optimal daily calorie intake. Proponents of using a keto diet for weight loss argue that eating carbs drives up insulin production, which increases hunger and causes the body to hold on to fat and suppress calorie burn. When you replace carbs with fat, you decrease the need for insulin, subdue hunger, boost calorie burn, and melt away fat. Many people also report fat as very satiating, making them full. The same goes for protein. When you feel full, you eat fewer calories and have fewer cravings. When you are at a healthy caloric deficit, you are primed to lose unwanted pounds. As with most other diets, the main criteria for success is whether or not you can follow the diet for the long term. If you like the keto lifestyle, the diet works great. If you hate it, it probably won’t work for you. While this can be a great motivator to stick to the diet, most of that initial weight lost consists of water due to less glycogen storage. Because you eat fewer carbs, you will have lesser glycogen stores. Less glycogen means less water retained. Less water retained and, you guessed it…the scale goes down. There is nothing wrong with that – just don’t mistake lost water weight for fat loss. When your body has adapted to the ketogenic diet, you will most likely experience that cardio returns to its previous level of difficulty, but strength training may or may not be harder. Your body stores a lot more energy as fat than it does as glycogen (sugar). A keto diet allows you to tap into that reservoir of stored fat energy more easily. This is ESPECIALLY evident during adaptation, but keto is not really ideal for high-intensity physical activity. Biochemically, this makes sense – intensive bouts need energy quickly, and fat oxidation is not exactly the fastest process in the world. There is hardly any scientific data on keto diets and strength training, but plenty of anecdotal evidence stating that it can be difficult to even maintain strength. Personally, all of my lifts dropped 40-50 lbs. for the first 4-6 weeks after I switched to a keto diet. Weights that I used to toss around with ease became tougher to move until I was fully adapted. It’s not impossible to improve strength while on a keto diet, but it can make the process substantially more difficult. This is the most important, but also most subjective, question about any diet. If you don’t feel physically and mentally well on a diet, it won’t lead to long-term results, because you won’t adhere to it. The keto diet is probably one of the post polarizing diets when it comes to people’s opinion on how easy it is to follow. Some people love it almost from day one while others experience major food cravings and even physical discomfort. According to keto expert Ariel Warren, RD, CD, the exact length of the adaption period usually depends on how many carbohydrates you are used to eating. Around 2 weeks if you have eaten a relatively low-carb diet previously, 2-4 weeks for a more moderate-carb diet, and 4+ weeks for high-carbohydrate diet. At the start of the adaption period, your body is rebooting what it has known for pretty much your entire life. Your brain is used to running on glucose and suddenly it doesn’t have it. Now, it CRAVES it. You’re in glucose WITHDRAWAL. Some describe this phenomenon as the “keto flu,” where you basically feel the opposite of everything promised – sick, fatigued, nauseous, mental cloudiness, etc. – it’s not very pleasant. Oh, and I should probably also mention that low carb means low fiber… pooping could be an issue. It’s often recommended to add extra magnesium, potassium & sodium to your diet (especially in the adaption phase) to help help your digestion elimination process. If you have tried keto (or really any low-carb diet), even for a day, you can probably resonate with this. You hang in through the first few hours. Maybe through the first day. Maybe even day two or three. Maybe it’s been three months. It really doesn’t matter – it is inevitable that eventually, the cravings start…and they are STRONG. “Oh, I can have some carbs now, it won’t matter much,” you justify to yourself. You cave. Granted, the longer you’ve been keto, the easier the re-adaptation process, but during that initial transition, it is IMPERATIVE that one maintains the correct macronutrient split or the adaptation will not occur. Since that process is neither glamorous nor comfortable, not many can push through with near perfect consistency, myself included. As you can hear, I found keto to be rough going but, again, your experience may be different. While there hasn’t been a lot of research done on the long-term effect of following a keto diet, it’s generally considered safe for most people with diabetes. The main risks when following a keto diet (or any other diet that restrict food choice and calorie intake) are related to mental health. ANY restrictive diet can potentially lead to an unhealthy relationship with food, and, in some cases, eating disorders. If you find yourself constantly thinking about food, avoiding social situations where food is involved, or struggle with a negative body image, please seek professional help. NOTE: It’s important to stress that this risk isn’t related specifically to a keto diet but dieting in general! Diabetic ketoacidosis (DKA) occurs when, in an individual with diabetes, there is an absence of insulin or the presence of illness, infection, or severe dehydration. Blood sugars skyrocket, glucose toxicity occurs, and the blood can turn acidic, hence acidosis (6). What a lovely prognosis. This is NOT related to a ketogenic diet. The ketones you develop on a keto diet never reach dangerous levels, as long as you take the right amount of insulin. You can easily measure the ketone level in your body with a urine test. You can buy ketone test kits over the counter at most drug stores and pharmacies. You can also get test kits that use a drop of blood instead of urine. They use a different measuring scale so please always read the packaging carefully before taking any ketone test. A ketogenic diet is NOT recommended for women who are pregnant, breastfeeding or have gestational diabetes. Not because studies have shown that it’s harmful, but because there haven’t been enough studies to show that it’s SAFE! However, there are large personal differences in how people react to a keto diet and some experience almost the opposite reaction. I recommend that you try following a keto diet for a while (at least 2-3 weeks as the beginning is always hard) to see how it works for you. If you feel that a keto diet isn’t working for you after trying it, definitely don’t feel compelled to follow it just because so many people with diabetes recommend it. There are many great alternatives. I tried following a keto diet for a while but eventually went back to a more traditional medium-carb diet. It simply works better for me! I hope this guide has given you a full view of the ketogenic diet and diabetes. At the end of the day, it’s up to you to decide if you want to try it and see if it has any beneficial effects on your blood sugars, body composition, or just how you feel. If you go for it, a good place to start is with this ketogenic meal plan. Good luck! 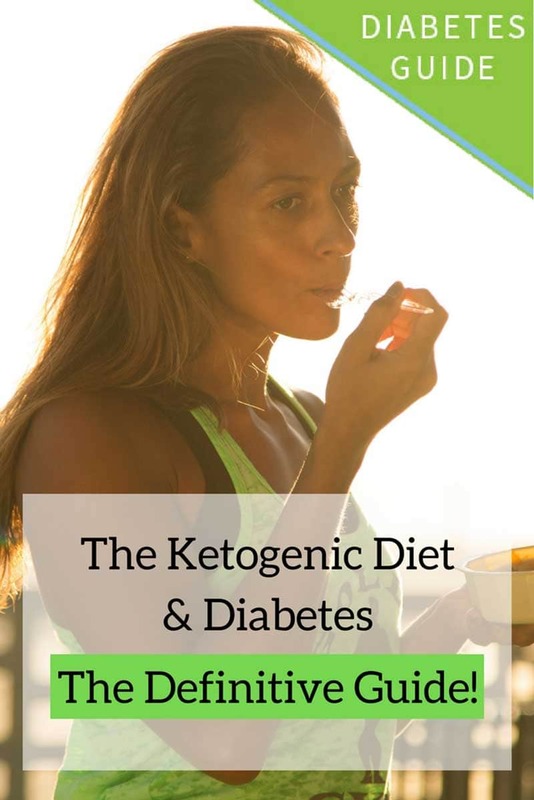 If you liked this guide to the ketogenic diet and diabetes, please sign up for our newsletter (and get a sign-up bonus) using the form below. We send out a weekly newsletter with the latest posts and recipes from Diabetes Strong. 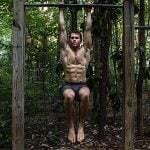 Ben Tzeel is a Registered Dietitian and Certified Strength and Conditioning Specialist (CSCS), holding a Masters in Nutrition from the University of North Carolina at Chapel Hill.Ben has lived with Type 1 Diabetes since 1999 and has never allowed it to hold him back from achieving his goals. He is a published fitness model and author who writes about exercise, nutrition, and diabetes. Previous Post: « No-Carb, Low-Carb, or Moderate Carb Diet – Which is Best for Diabetes? It’s always better to first get yourself examined by your physician who will get some medical tests done to see your body’s tolerance level, and only after that get a diet chart prepared for a better diabetes management. Thanks! Probably the best Keto guide I have after so many searches. Hey, can you suggest some Keto diet food with diabetes type 2 patients? When we eat, we consume either protein, carbs, or fat. Carbs increase blood sugar levels. Protein and fat do not. So eating a low-carb diet IS healthy for diabetics because you eliminate a lot of what causes glucose to rise. I’m not referring to a no-carb way of eating, but a lower carb diet. I’m type 2 and have been eating keto for three weeks. My blood sugar levels are great. No swings — highs or super lows. I was injecting 60 units of insulin prior to each meal. Now I inject 5-10 units. I’m not losing weight, but I feel better and my sugar levels are under control. Most nutritionists and many doctors still haven’t caught up with the science. Low-carb/keto is the best way to eat for a diabetic. Carbohydrates will increase blood sugar the most which is why we usually count carbohydrates when calculating our insulin dose. Fat and protein will also impact blood sugars but not as much. Dr Bernstein has never recommended a ketogenic diet. In fact, he actively advises against them (https://youtu.be/7wrp-clh6ZY). His books prescribe low-carb, low-fat, high protein. If it could be said that any doctor “popularized” the ketogenic diet, wouldn’t it be Dr Atkins? I do appreciate your efforts at bringing Type I information into the keto sphere. Thank you. Thanks, you saved me from having to write about how Dr. Bernstein’s diet is high protein and not high fat like the Keto diet. However, they are both low carb. How long did you try keto? And when did you decide to have to let go, because the issue was not solving. When you say rise, do you mean your BG was rising higher than eating a standard diet etc. What were the symptoms associated with ” feeling lousy”. Could you describe. I did keto for about a month. I ended it because I was gaining weight, my BGs were constantly high, my hormones seemed out of wack and my endo’s perspective was also that this was not the right diet for me (and she’s not against keto). Given the high fat, my BGs were fairly flat, just elevated most of the time. It was hard for me to correct without going low because of the low carb. Had I continued the experiment for longer than a month I’m sure I would have figured it out but that was not worth it for me. Why would someone GAIN weight on this if you are also watching calories? I’m 263#s now and need to lose weight, not gain. Am type 2 diabetic. If you are in a calorie deficit you will lose weight. Often the ketogenic diet is advertised as a guaranteed weight loss approach (regardless of calorie intake) which is misguided. As with all other approaches if you stick with it and are in a calorie deficit you will lose weight.